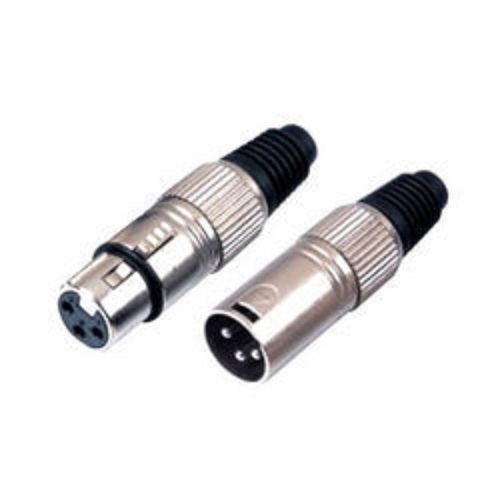 In order to meet the diverse requirements of the clients, our enterprise is providing our clients XLR Connector. The provided connector is highly acknowledged owing to its various specific features as optimum quality, rugged construction and design. At our well established manufacturing unit, this connector is well manufactured using optimum quality raw material and sophisticated techniques by our adroit professionals in compliance with the set quality norms. Incorporated in 2017, at Faridabad (India), Techut is the leading Wholesale Trader of Mobile Holder, Laptop Hinge, Mini USB Fan and much more. The offered products are well-known among clients for their features like smooth finish, excellent usage, effortless maintenance and enhanced durability. Apart from this, the offered range is available in various sizes, shapes, patterns and designs as per the variegated requirements of clients.